On March 30, 2017, Israeli Prime Minister Benjamin Netanyahu announced plans for a new town in Area C of Judea and Samaria for the residents of the demolished settlement of Amona. 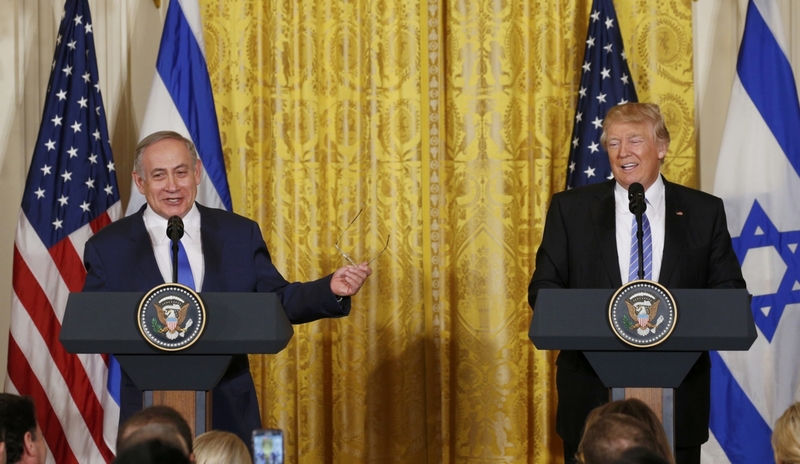 The new US Trump administration gave its tacit approval for the homes for the Israeli families. The move was seen by many as very controversial, as it came just a few months after the UN Security Council passed UNSC Resolution 2334 that deemed Israeli homes east of the Green Line (EGL) as having no legal validity. The development was also the first one announced by Israel since it signed the Oslo Accords with the Palestinian Authority in 1993. But the Oslo Accord of 1993 and the subsequent Oslo II signed in 1995 made clear that the majority of EGL – known as Area C – was under complete Israeli civilian and military control: it was Israeli Territory. So even though the Israeli government did not announce any new Israeli developments, there was no question as to the administrative authority of the Israeli government to do so. These facts were not found in the mainstream media. “Israel’s Security Cabinet on Thursday unanimously approved the construction of a new settlement in the West Bank, according to a message from the Prime Minister’s office, marking the state’s first new settlement in Palestinian territory in more than 20 years.” only calling the region “West Bank” and not including the Israeli name “Judea and Samaria” or neutral nomenclature like EGL. It further misstated that the town was in Palestinian administered land, not Israeli. “The new settlement, which will be constructed north of the Palestinian city of Ramallah,” anchors the location to a “Palestinian city” and not the Israeli town of Shiloh. It included this quote from a Palestinian Arab, but quoted no Israelis in the article: “”Israel’s policies remain unchanged as Prime Minister Benjamin Netanyahu and his extremist, racist coalition government continue to persist with their systematic policies of settler colonialism, apartheid and ethnic cleansing, showing a total and blatant disregard for Palestinian human rights, independence and dignity,” Ashrawi said in a statement.” Nice propaganda language to promote. “The United Nations Security Council passed a resolution in December condemning Israeli settlements constructed in the West Bank and East Jerusalem as illegal. These territories, occupied by the Israeli military since 1967, are where Palestinians plan to create their future state.” No education to readers that EGL was taken from JORDAN in a DEFENSIVE WAR and that the new town is located in the Israeli Territory of Area C where Israel has civilian and military rule as agreed by the Palestinian Authority. “Israel’s security cabinet on Thursday approved the building of the first new settlement in the occupied West Bank in two decades, even as Prime Minister Benjamin Netanyahu negotiates with Washington on a possible curb on settlement activity.” Adding the word “occupied” gave the deliberate misrepresentation that the land was Palestinian, and not Israeli territory. Like CNN, Reuters also chose to quote Hanan Ashrawi “”Today’s announcement once again proves that Israel is more committed to appeasing its illegal settler population than to abiding by the requirements for stability and a just peace,” said Hanan Ashrawi, an executive committee member of the Palestine Liberation Organization,” but it did also quoted Netanyahu: “I made a promise that we would establish a new settlement … We will keep it today.” Further, Reuters omitted the highly offensive vitriol spewed by Ashrawi. Reuters also added this rationale: “Such settlements, in territory that Israel captured in the 1967 Middle East war, are deemed illegal by most of the world. 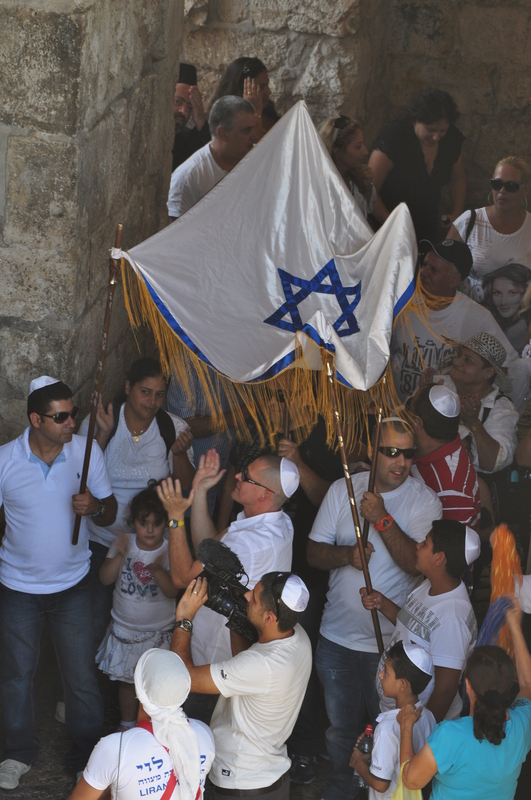 Israel cites biblical, historical and political links to the land, as well as security interests, to defend its actions.” It added a few reasons why Israel has “links” to the land, but never mentioned international law of 1920 and 1922 permitting Jews to live in the area, nor political AGREEMENTS signed with the Palestinian Authority. The Wall Street Journal’s article titled “Netanyahu Pushes New West Bank Settlement,” tied the decision to Netanyahu, not the Israeli cabinet, and did not include any time period relaying how “new” this settlement was. At least until the opening sentence of the story. “Israel’s Prime Minister Benjamin Netanyahu on Thursday proposed the first new settlement in decades,” so readers got the history that this was a break from recent norms. The WSJ spent the first eight paragraphs of the story giving some background on the approval process of the new town as well as the tacit approval of the White House to move forward with the project. Only at the ninth paragraph did the paper discuss the controversy around the development, before it quoted Ashrawi. This compared to CNN and Reuters which quoted Ashrawi much earlier in the fourth paragraph to set the tone of the article. Is Trump wrong about CNN being #FakeNews? 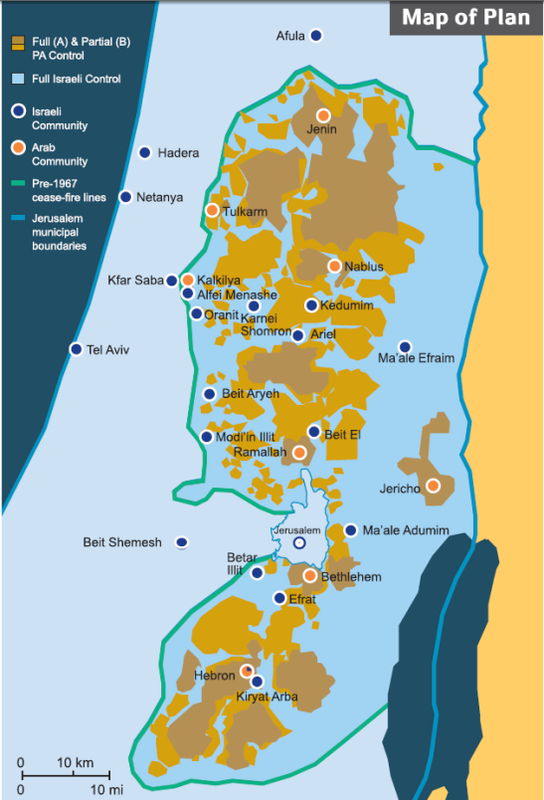 “Palestinian land.” What exactly is Palestinian land, according to the parties themselves? According to the United States? According to Obama? Oslo II clearly spelled out what was “Palestinian land” to be fully governed by the Palestinian Authority in regards to military and civil administration. That area is known as “Area A” in EGL (east of the Green Line) and the Gaza Strip. Israel handed over all of that land to the Palestinians over a decade ago. “Area B” in EGL/west bank of the Jordan River, is a mixed territory, in which the Palestinian Authority has responsibilities for civil matters, and military matters are coordinated jointly. That land is neither “Palestinian Authority” nor “Israeli” exclusively. “Area C” makes up the majority of EGL, and is “Israeli Territory,” in which Israel administers all matters, including civil and security responsibilities. 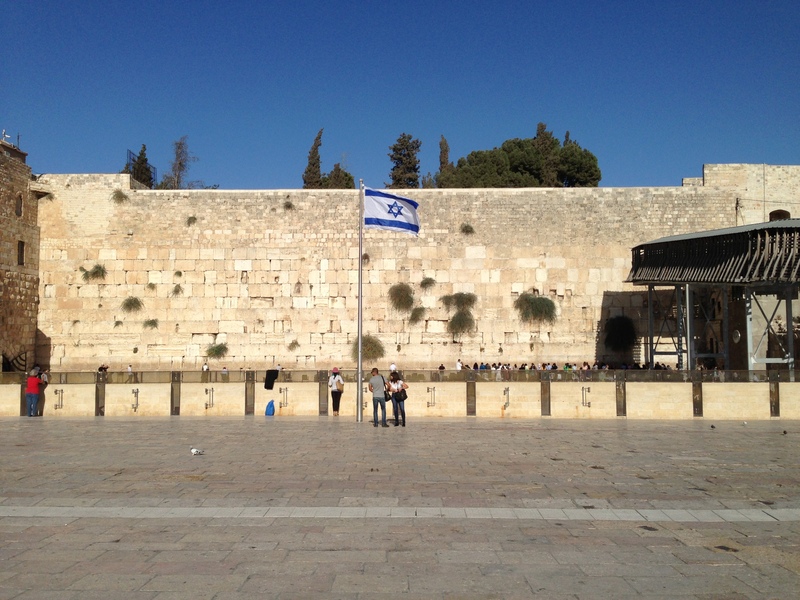 The Israelis and Palestinians negotiated and agreed to the contours of these three blocks. The parties also worked on a plan for additional land to be transferred from “Israeli Territory” to “Palestinian Authority Territory” over the years 1995 to 2000. However, Yasser Arafat (fungus be upon him) rejected those negotiations at the last moment, and launched the Second Intifada in September 2000, as the interim Oslo II Accord was due to become permanent. As such, no additional transfer from Israeli Territory to Palestinian Authority Territory has occurred. As every US administration has pushed for the two parties to negotiate a two-state agreement on the basis of the Oslo Accords, there is NO BASIS for Obama to refer to Area C as “Palestinian Land.” That land will continue to be Israeli land until such time as they agree to transfer parts of it to the PA.
As there is no Israeli “occupation” or “settlement” activity in the Israeli territory of Area C, Obama’s mischaracterization of Israeli actions in that land that they legally administer explains his comments and treatment of Israel since he took office in 2009. “secure the establishment of the Jewish national home, as laid down in the preamble, and the development of self-governing institutions, and also for safeguarding the civil and religious rights of all the inhabitants of Palestine, irrespective of race and religion” (Article 1) Jews were to have full civil rights throughout Palestine, such as buying and building homes. “The Mandatory shall be responsible for seeing that no Palestine territory shall be ceded or leased to, or in any way placed under the control of the Government of any foreign Power.” (Article 5) which Britain did anyway when it separated the east bank of the Jordan River to the Hashemite Kingdom, but which wasn’t a foreign power. “The Administration of Palestine, while ensuring that the rights and position of other sections of the population are not prejudiced, shall facilitate Jewish immigration under suitable conditions and shall encourage, in co-operation with the Jewish agency referred to in Article 4, close settlement by Jews on the land, including State lands and waste lands not required for public purposes.” (Article 6) specifically stating that Jews were to settle throughout Palestine, including lands that Obama believes Jews “occupy”. “The Administration of Palestine shall be responsible for enacting a nationality law. There shall be included in this law provisions framed so as to facilitate the acquisition of Palestinian citizenship by Jews who take up their permanent residence in Palestine.” (Article 7) in which Jews do not only move and settle the land, but become citizens of the country if they live ANYWHERE in the land, including Judea and Samaria. “No discrimination of any kind shall be made between the inhabitants of Palestine on the ground of race, religion or language. No person shall be excluded from Palestine on the sole ground of his religious belief.” (Article 15) clearly states that no person should be barred from living anywhere in the land just because they are Jewish – as if human rights law wasn’t enough. International law – and human rights law – clearly allow Jews to live throughout EGL/the West Bank. The Oslo Accords signed between the parties specifically state that Israel controls all of Area C until such time as the parties negotiate the transfer of more lands. The notion that Jews living in houses that they have every legal and moral right to live in, is somehow connected to Obama’s belief of a “permanent occupation of Palestinian land” is false, misleading and arguably anti-Semitic on every level. 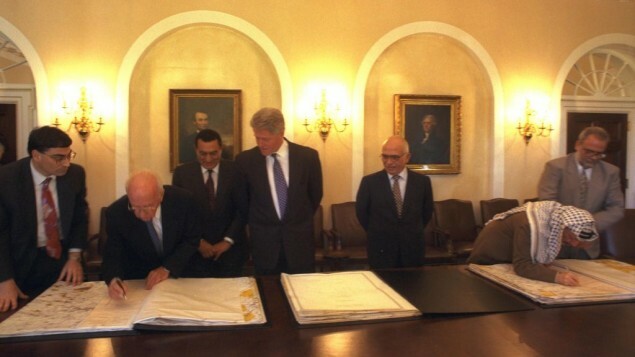 The Palestinian Arabs and Israelis last managed to negotiate an agreement in September 1995. That agreement, Oslo II, was intended to be an interim agreement after which a permanent resolution was to be reached in five years. However, five years later in September 2000, Palestinian leader Yasser Arafat walked away from the Israeli peace proposal and launched multi-year riots which claimed thousands of lives. The terms of Oslo II still live on, decades later. Security Council 242 was drafted after the Six Day War in 1967. In that war, Israel preemptively attacked Egypt and Syria that were readying an attack on Israel, and Israel defended itself from an attack from Jordan. Oslo II built on these UN Security Council goals with an interim roadmap. It began with Israel’s handing over certain territories to the Palestinian Authority (Gaza and Jericho) as well as other major Palestinian cities. 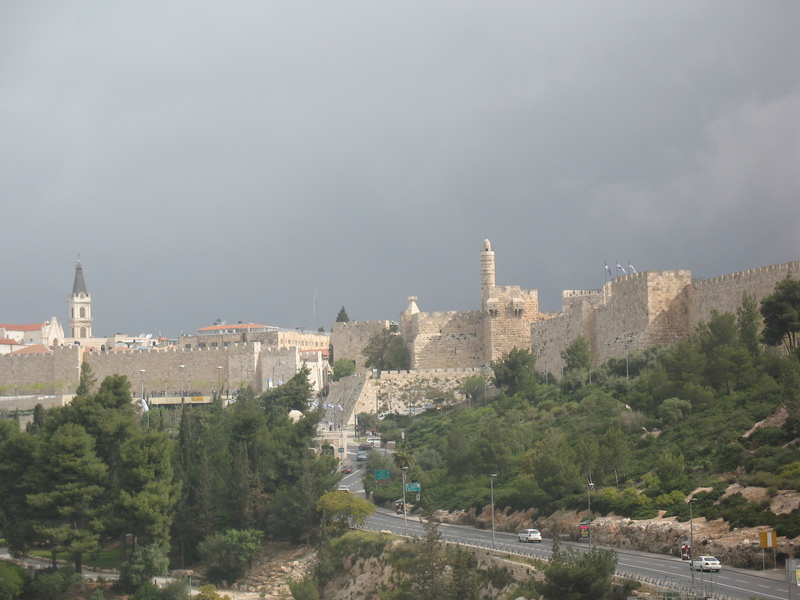 Jerusalem is mentioned eight times in the Oslo II Accords. In every instance, the entire city is referenced, not just the eastern half that Israel acquired from the Jordanians and Palestinian Arabs in 1967. 5. Permanent status negotiations will commence as soon as possible, but not later than May 4, 1996, between the Parties. It is understood that these negotiations shall cover remaining issues, including: Jerusalem, refugees, settlements, security arrangements, borders, relations and cooperation with other neighbors, and other issues of common interest. There is therefore no basis for any of the United Nations, the EU or the Unites States to claim that Jerusalem is a settlement and that Jews should have any restrictions from living anywhere in the city. Should there be any modifications to the Israeli rule of the city, it will be made by mutual consent in permanent status negotiations. Yet, the world ignores the Oslo II foundation document of a peace agreement. These statements ignore Oslo II in many respects: it broke apart “East Jerusalem” as a distinct entity; it claimed that Jews living in “East Jerusalem” were in “settlements”; it called for a two-state solution (while not in Oslo II, both the Israelis and Palestinians later agreed to such plan); it suggested that Jews living in “East Jerusalem” hurt a two-state solution. The UN leader voiced concern with more Jews moving into eastern Jerusalem and not enough Arabs being accommodated there. Like the United Nations, the EU ignored the mutual recognition of both Palestinians Arabs and Israel that only Israel administers all of Jerusalem, and any modification to such arrangement must be made by mutual agreement. Oslo II made no suggestion that the holy city be divided. The US decided to place such office to assist the PA in Jerusalem, rather than Bethlehem or Jericho. The address is home of the Consul General of the US in Jerusalem which serves US citizens from Jerusalem, the West Bank and Gaza. There have been very few agreements between the Palestinian Arabs and Israelis throughout history. When the parties last mutually agreed to move forward with a peace process, they agreed that all of Jerusalem was controlled by Israel. The agreement had no caveats about what Israel could or could not do anywhere in the city. It made no suggestion that the city was or would be divided. 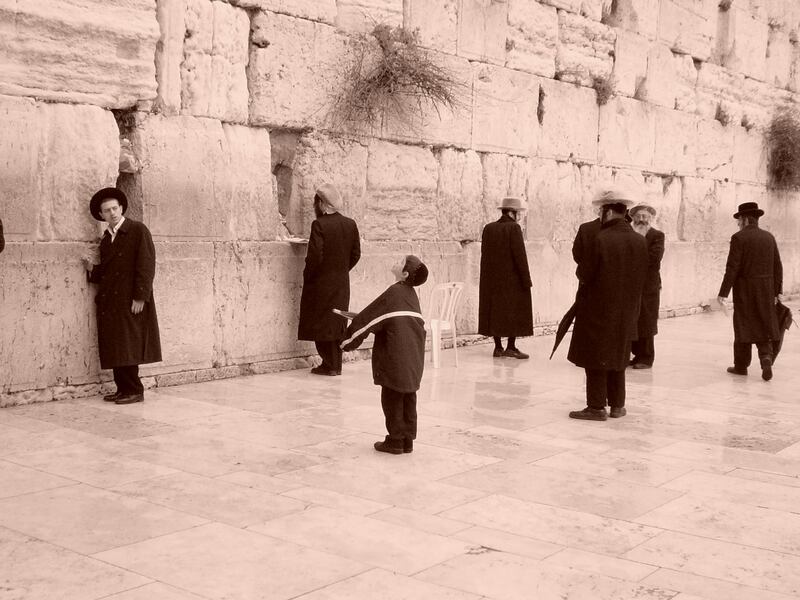 Despite that reality, a new perception has taken hold in world bodies that Israel should prohibit Jews from living in parts of their capital and holiest city. It is being repeated more frequently and with greater force: at one point, world bodies opposed Israel building new neighborhoods in the eastern part of Jerusalem; now they decry Jews moving into existing homes that they legally purchased privately. How can Israel expect to negotiate a final status agreement if the world rejects the agreements Israel makes with Palestinian Arabs as it did with Oslo II? How can Israel enter negotiations when the world advances a prejudged outcome to such negotiations to which Israel never agreed?